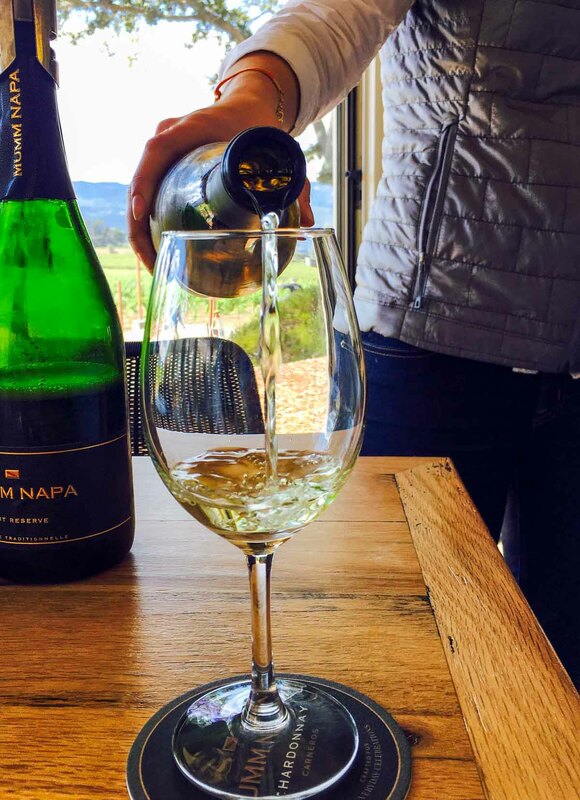 While you could spend days in California Wine Country, here is how I love to spend 24 hours in Napa including where I stay, where I eat, and where I taste wine! I absolutely love Napa, California. If you love wine, how could you not? It’s beautiful, it’s relaxing, and it has amazing food…and wine, of course. Mel and I have been there a few times before but I always forget how easy it is for us to actually go. It’s only an hour and a half from where we live, so visiting isn’t a huge commitment. 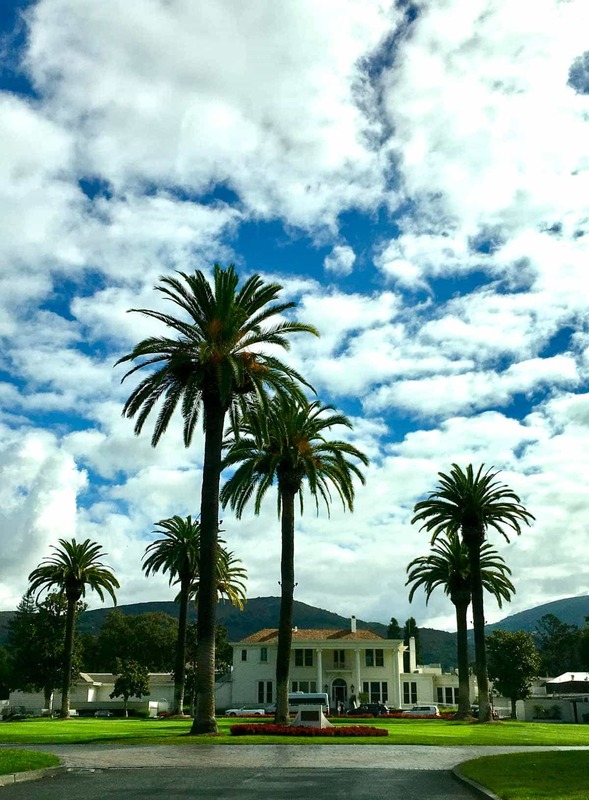 Like Las Vegas, 24 hours in Napa is enough for me – and it’s an easy overnight trip from anywhere you’re staying in the San Francisco area. If you’re in the area for any length of time, consider popping over to Napa for a night. There’s so much to see and do (and drink) that it can be overwhelming, so I’m narrowing down my favorite places for you. 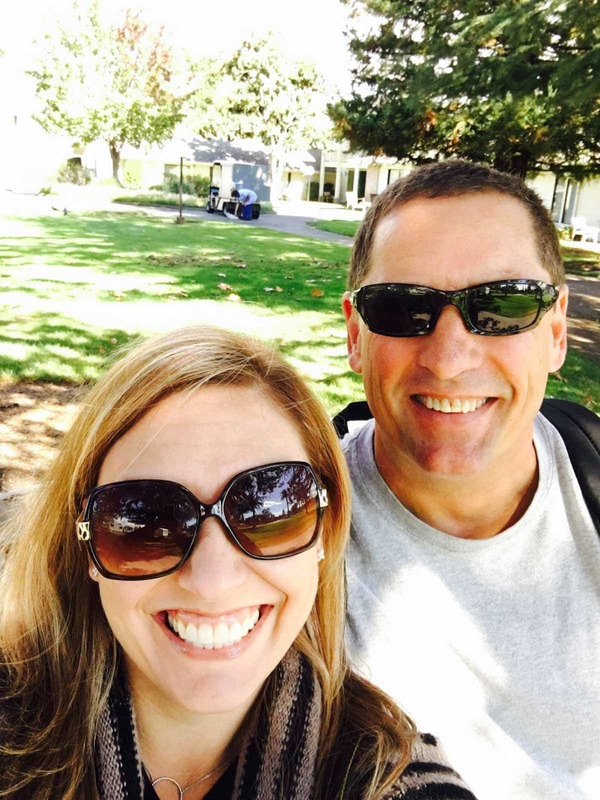 Here is how Mel and I like to spend a night in wine country! We’ve stayed at a few places in the Napa area but by far, the Silverado Resort and Spa is officially my favorite. It’s convenient to my favorite wineries, it’s a gorgeous property, and the room was perfect. Because we were only there for 24 hours, we didn’t get to use all the amenities, but I plan to go back with some girlfriends next summer. 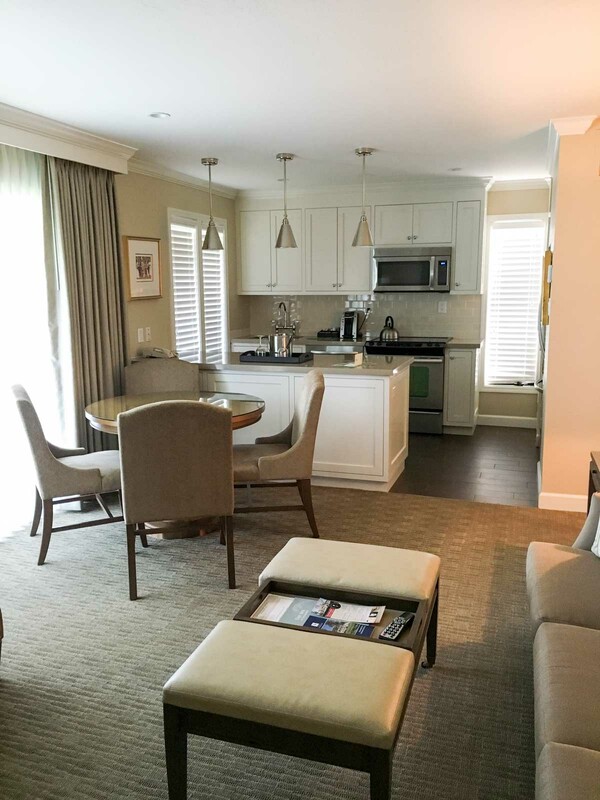 The Silverado is a huge property, with rooms ranging from the normal hotel-type room all the way up to 2- and 3-bedroom apartment style suites. We had a one bedroom king suite and it not only had a large sleeping area and bathroom, but it had a huge living room and full kitchen. It would be perfect for a longer stay – you could actually cook on the regular sized stove and store lots of food in the full-sized refrigerator. If you’re watching the Safeway Open this weekend, you may recognize the hotel. The golf tournament is taking place there right now! The property is huge, with a spa and a PGA golf course that I know Mel would love to play some day. Since I’m a food person, I’m way more into eating than I am into massages and golf, so our stay was centered on FOOD! 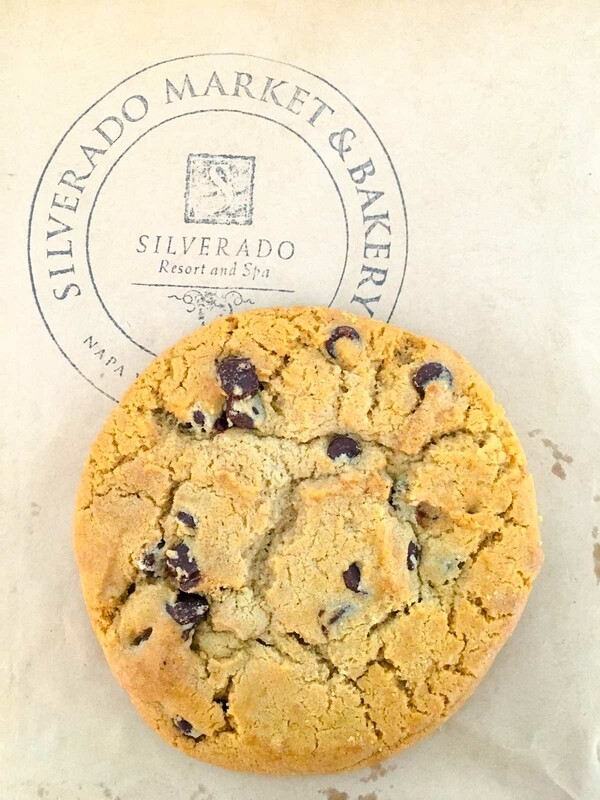 The Silverado has a brand new Market & Bakery that just opened recently. They sell pastries and bread from Model Bakery, they have coffee and sandwiches and picnic makings, plus wine and a little market of crackers and olive oils, etc. We spent a lot of time there; we got bread and cheese for lunch and had our breakfast on the patio. One of everything! The Apple Crumb muffin was the best muffin I’ve ever had (expect a copycat) and that english muffin? Can not be beat! Homemade for the win. 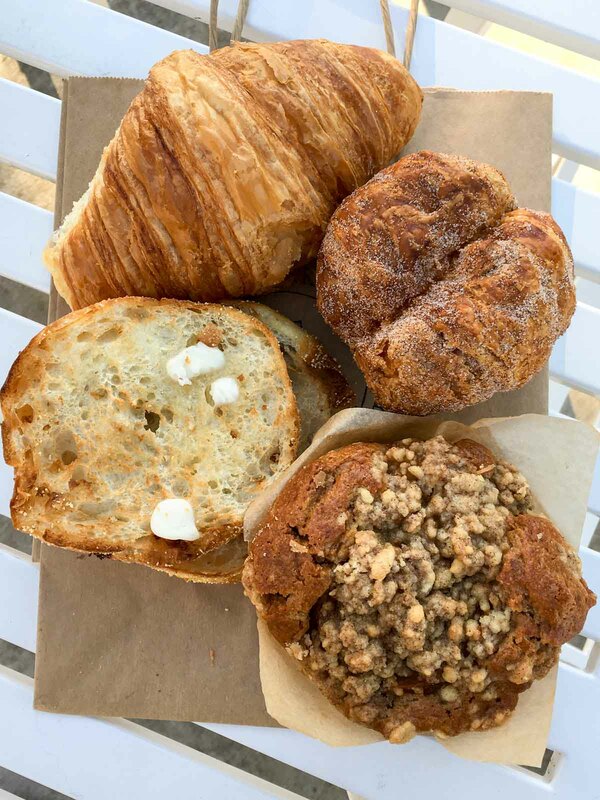 Bouchon Bakery – a MUST for sweet lovers! 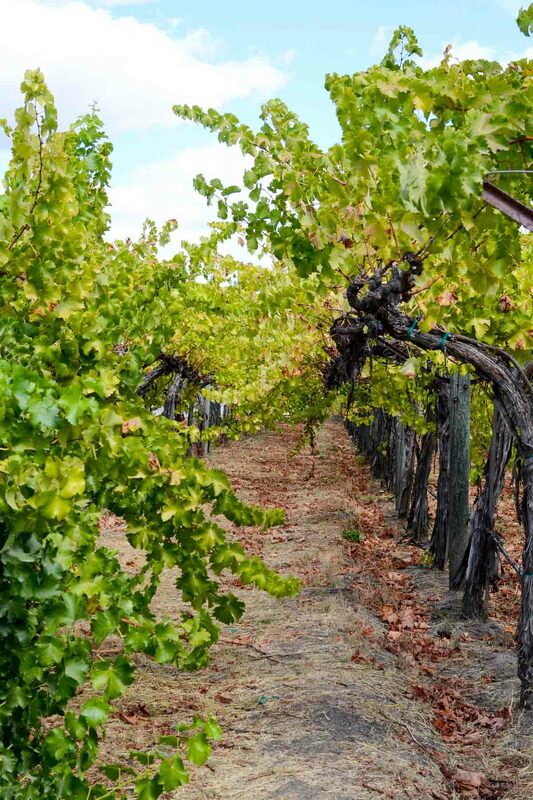 Obviously, if you’re headed to Napa, you’re probably going to go wine tasting. There are so many options I don’t even know if I could list them all (I have a 2-3 winery maximum per day or I don’t remember what I’m drinking). I’m going to share with you my favorites. How to get around: do NOT drink and drive. Please just don’t. One option is to go on a tour or hire a driver. I’m not a “tour” fan because I don’t like people, generally, and I want to go where I want to go, not where the tour takes me. But if you want to hire a private driver, consider hiring Platypus Tours. Mel and I did that as a special treat a few years ago. They’ll plan your tour for you, pack snacks and water, and drive you around. It’s expensive though ($300 + fees). For a cheap route, do what we did on this trip: Uber. There are plenty of drivers around the Napa area and we never had to wait more than 10 minutes. I spent about $80 (fare + cash tip) going from our hotel to two wineries and back to the hotel. Totally worth it! Wine tasting caveat: I only like white, so I set up my tours that way. 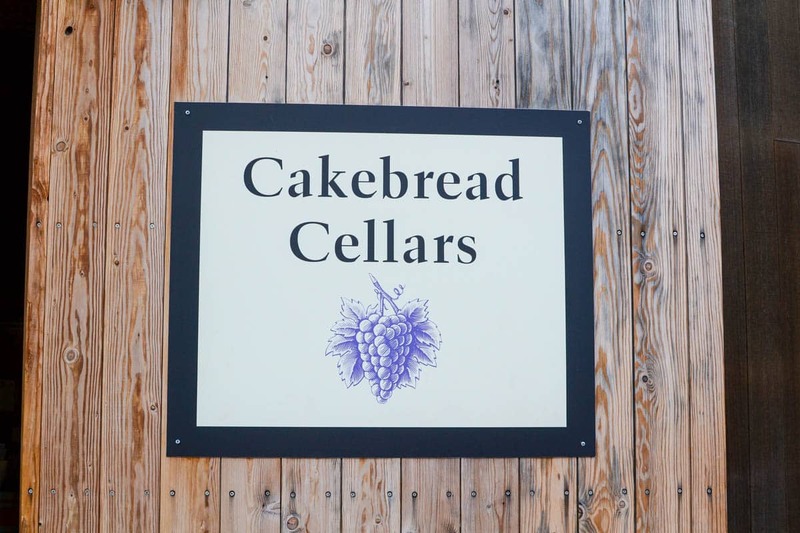 I’ve never seen Cakebread in the wine store, but supposedly you can find it some places. It’s mainly a restaurant wine, and boy is it good. They have both white and red, even though I only do white tastings. You need to make an appointment for your tastings. They have different ones, from a combination of wines, to reds to a white-only tasting. That’s the one we always do. Cakebread started with Chardonnay and Sauvignon Blanc and those are two of my favorite brands wine of all time, hands down. The BEST part about the white wine tasting at Cakebread? Greg. He’s the winemaker who leads the tour. He’s worked there for a long time and has his hands in so much of the process. 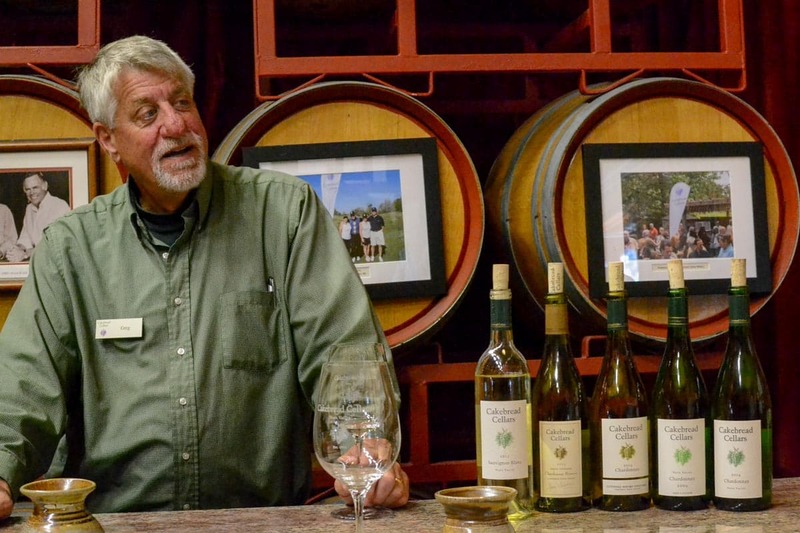 He’s knowledgeable and a great host; the tasting isn’t just a pouring of wine, it’s an informational and fun. Plus the wine is SO GOOD. We took home several bottles (some day I’m going to just go ahead and join their club). 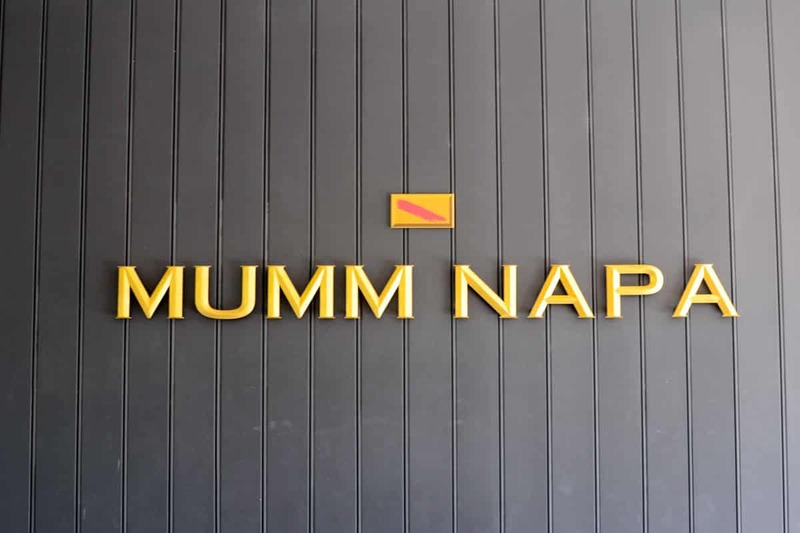 If you like sparkling wine, Mumm Napa is a MUST stop for you. 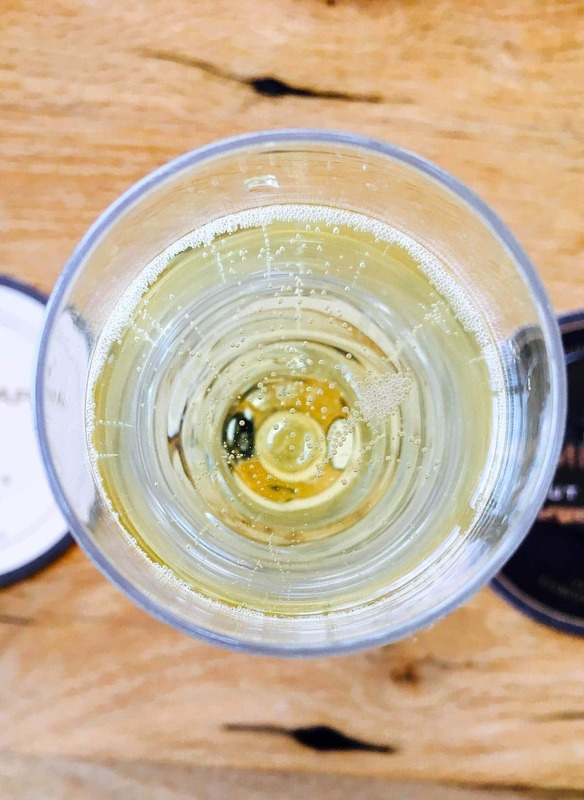 Even if you don’t love bubbles, you should still go there. For one, it’s a gorgeous place. 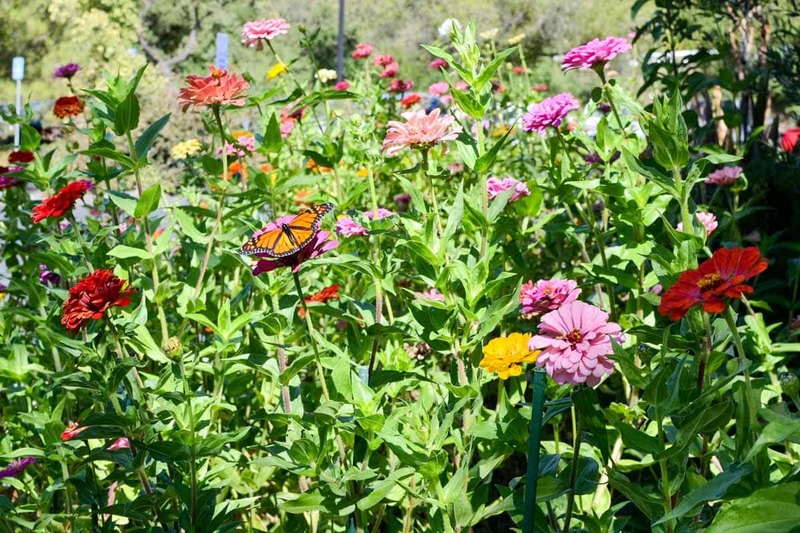 There are gardens and flowers and the deck overlooks the vineyard with some gorgeous views. Also? Their chardonnay is amazing. 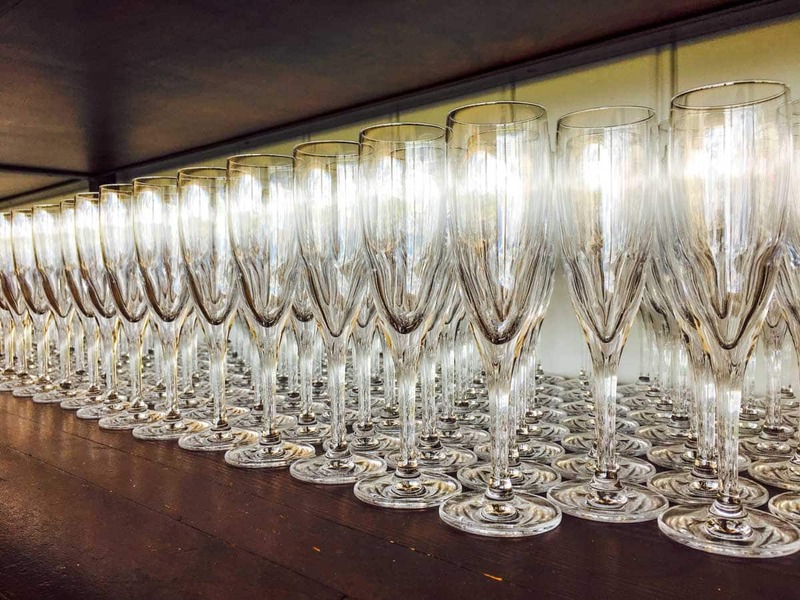 You wouldn’t think that a place known for it’s sparkling wine would serve a chardonnay, but they do. I don’t think you can buy it elsewhere, but whenever we go to Mumm we buy a few bottles of it. They sell several of the wines they use to make their sparkling wine, including the Chardonnay and Pino Gris. Well that’s it. 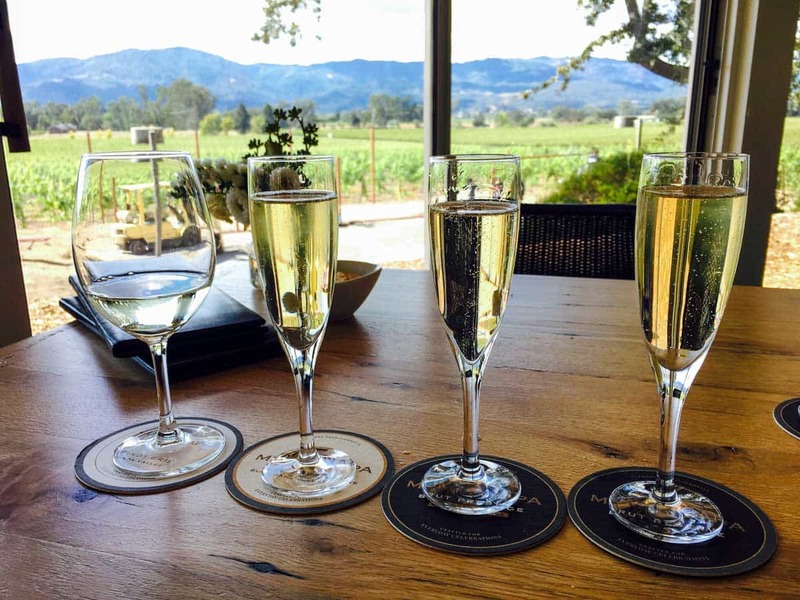 Those are my favorites in Napa…and I hope you enjoy them. After two wineries and wine with dinner, I’m usually done. 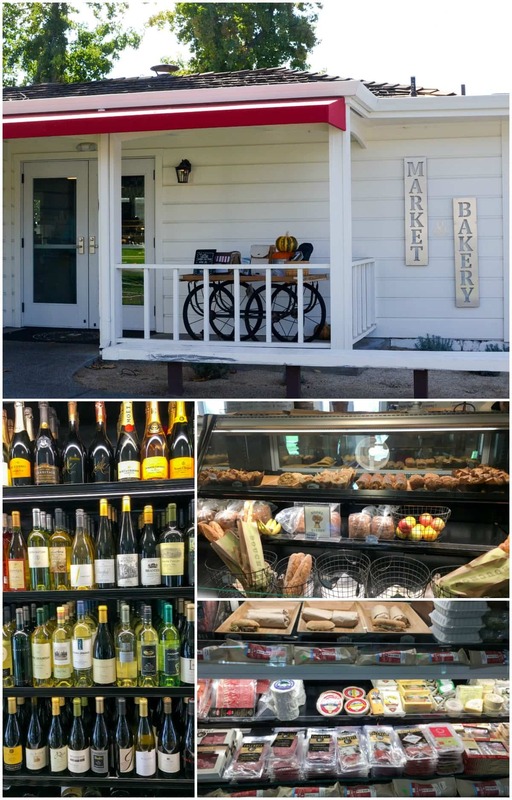 24 hours in Napa is perfect for us, and I hope it is for you too! Mumm and Cakebread, I have been to Napa many times but never either of those two, but I love them both! Next time for sure! And yes join a wine club of the month. Whenever you have wine showing up at your door, it’s going to be a great evening 🙂 That room does look perfect for a girls trip! Massages, wine, bubbles, cheese….I am set! Beautiful pics; glad you had fun. That Apple Crumb Muffin has got me salivating. I am sure you will come up with a recipe soon but I will have to try something myself very soon!! I will probably never get to the Napa Valley (but would love to) as I live on the other side of the world, but great article to read. They just came out of the oven yesterday!! Hopefully it’ll be up in the next week or two. Wow – your photos are stunning – they look like something out of Gourmet magazine, or National Geographic. Very creative shots, too. You should be a wedding photographer. Your trip sounds soooo fun! 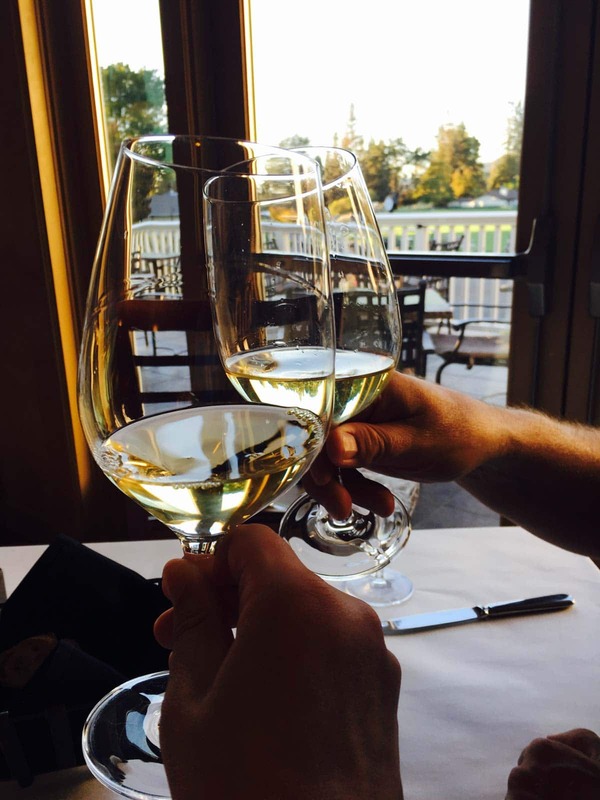 I would recommend eating at Napa Style or Bistro Jeanty if you are in Yountville – my favorite place in Napa Valley. Such a fun trip for you guys! I LOvE cake bread as well! You’re such a talented photographer as well! Born and raised in Napa! Living in Colorado now, this post made me homesick. I feel that way whenever I see a post about SF!! Love Napa! We celebrated our 10th anniversary with a long weekend in San Fran and Napa, we may even go back next year for our 15th! We ate at Model Bakery every morning we loved it so much! You celebrated in my favorite places!